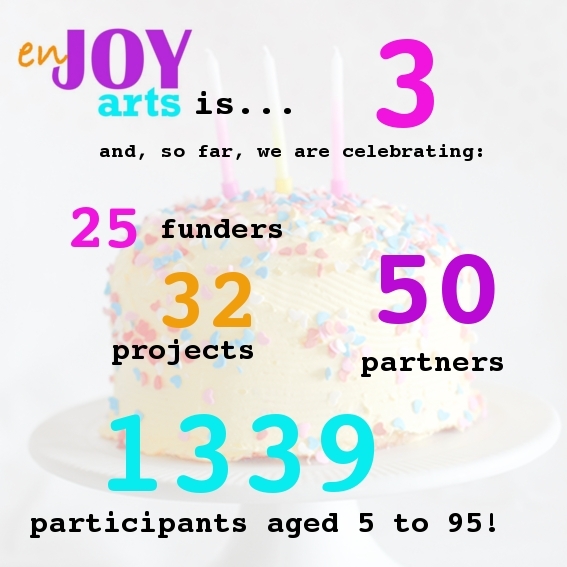 We’re celebrating 3 years of enJOY arts with a look back at what we’ve achieved so far! Thanks to everyone that’s worked with us! This entry was posted in News and tagged applied theatre, birthday, celebration, community, creative arts project, enJOY arts, manchester, north west, performance, young people by enjoyarts. Bookmark the permalink. Happy Birthday! Here’s to the next 3(0) years!